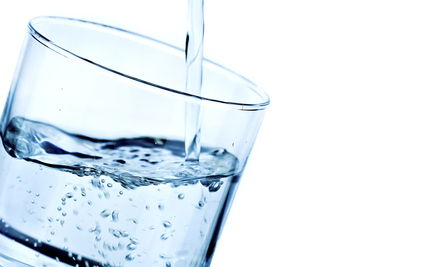 Is your water filled with chemicals? Traces of 18 unregulated chemicals, including solvents, herbicides, caffeine, metal and antidepressants were found in the water of U.S. water facilities. Federal scientists analyzed water from 25 water facilities, and found traces of 21 chemicals in water samples from 9 of these facilities. Of the 21 chemicals, 18 are unregulated ones according to Environmental Health News. The research paper on the detailed findings by the scientists is expected to be published next year. The 21 contaminants detected were found to be mostly in low concentrations in treated drinking water from at least nine of the utilities. 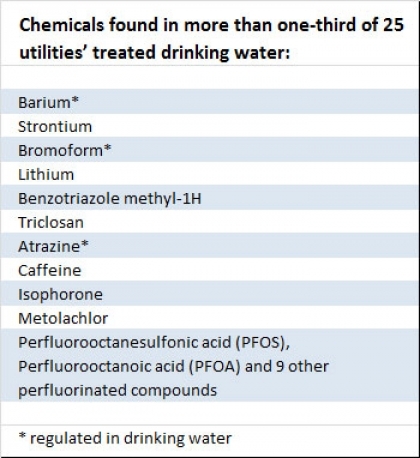 Eighteen of the chemicals are not regulated under the federal Safe Drinking Water Act, thus utilities do not have to meet any limit or even monitor them. “The good news is the concentrations are generally pretty low, but there’s still the unknown. Are there long-term consequences of low-level exposure to these chemicals?” asked Dana Kolpin, research hydrologist with the USGS who participated in the study. There is little known about the effect on human health for many of the contaminants, in low doses. But one contaminant, perfluorinated compounds (used in food packaging to make an object oil-, stain- and water-resistant) known as PFOA have been linked to a variety of health problems. The perfluorinated compounds found in drinking water have been found in the blood of nearly all people in the US. Scientists say there is a “probable link” between PFOA in drinking water and high cholesterol, ulcerative colitis, thyroid disease, testicular cancer, kidney cancer, and pregnancy-induced hypertension (based on findings on people in Mid-Ohio Valley communities whose water was polluted with PFOA from a DuPont plant). PFOS, another form of perfluorinated compound, was used in Scotchgard until 3M phased it out in 2002. It has been linked to attention disorders in children and thyroid disease in men. When scientists attempted to remove the perfluorinated compounds, treatment techniques were largely unsuccessful. Only one plant was successful at removing them, and it used activated carbon treatment. “Chlorination and other treatments technologies will remove some contaminants, but will react with others. Some compounds may appear to be removed but may be transformed to a chemical we know even less about,” said Laurel Schaider, research associate, Harvard School of Public Health. “Activated carbon, ozone and ultraviolet treatments are generally better at removal than traditional chlorine treatment, but they are expensive. People resent having to pay anything for water. There’s the thought that there’s a God-given right to have as much as we want but, if you want the cleanest water, these techniques take money,” says EPA research chemist Susan Glassmeyer. Is good water treatment really too expensive for our children growing up in this world? We have already impacted the oceans with our plastic consumption: (see The Great Pacific Garbage Patch). What is happening to our water is not new. Between 2004 and 2009 The Environmental Working Group conducted nearly 20 million drinking water tests by water suppliers nationwide. They found hundreds of pollutants in U.S. tap water. The problem is that the government has not set safety-based legal limits and many other chemicals were found in drinking water above government advisory health guidelines.